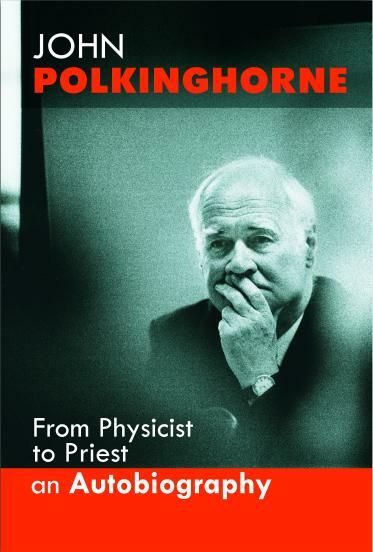 John Polkinghorne is one of the greatest living writers and thinkers on science and religion: a truly world-class scientist turned priest, currently one of two Revd FRS (the other is the statistician Bernard Silverman) and one of only 3 Revd KBEs. If you have questions for John Polkinghorne, or are interested in the responses given to hundreds of questions from around the world, why not check out the Q&A pages? You can also search the sites from there. Click here for links to JCP Books and Articles and some talks. John has given his blessing to this website, although he is not responsible for the contents. John is not on EMail but you can EMail me as nb [at] sciteb [dot] com with a subject like ForJCP and he has authorised me to filter and forward appropriate short messages to him by fax. There is an interesting interview with him on National Public Radio here. In March 2002 John won the Templeton Prize. Here is an article in physics web about it, and here is an interview in Science & Spirit. A 132 page book was been published in German called John Polkinghorne – Konsonanz von Naturwissenschaft und Theologie (Consonance between Science and Theology) which investigates John's theory of consonance and examines its philosophical background. Here is an abstract by the author. If anyone has a review (or would like to undertake a translation) please let me know. There's an audio interview with him (from 2002) on counterbalance.org. There are also some elegant reviews by him in the Dec 2005 issue of SRF Reviews. John (and I) heartily recomend Denis Alexander's brilliant book Rebuilding the Matrix. this page partially updated 30 Dec 2007 - the Q&A is updated more often. John's Autobiography From Physicist to Priest was published in September by SPCK. It's a fascinating read. There is also an on-line Bibliography of Science and Religion drawn from a book of John's, with a few additions. It really needs updating but I'm rather pressed for time. One book I'd certainly add is Simon Conway Morris's brilliant Life's Solution. and another is Alastair McGrath's Dawkins' God. Here is an extract of one of John's books debunking some popular myths about Galileo and Darwin. There is an unofficial German Polkinghorne website done be a German researcher. If you have any comments feel free to send them to me at nb at sciteb dot com . You might also want to check out the Star Course. and the debate on science and the existence of God between me and Prof Colin Howson. Contact information of those doing research on Polkinghorne. Rev Dr. John Polkinghorne KBE FRS, Cambridge University, England, is a Fellow of the Royal Society, a Fellow (and former President) of Queens' College,Cambridge. He was born 16th Oct 1930 in Weston-super-Mare, England, and was married to Ruth until she died in 2006. They have three children (Peter, Isobel and Michael). He was at school at Elmhurst Grammar School, Street, Somerset and his distinguished career as a Physicist began at Trinity College Cambridge where he studied under Dirac and Abdus Salaam and others. He received his MA in 1956, was elected a Fellow of Trinity in 1954, and gained his PhD in 1955. In 1956 he was appointed a Lecturer in Mathematical Physics at Edinburgh: returning to Cambridge as a Lecturer in 1958, promoted to Reader in 1965 and Professor in 1968. In 1974 he was elected FRS in and awarded an ScD by Cambridge. During this time he published many papers on theoretical elementary particle physics in learned journals, and 2 technical scientific books, The Analytic S-Matrix (CUP 1966, jointly with RJ Eden, PV Landshoff and DI Olive) and Models of High Energy Processes (CUP 1980). In 1979 he resigned his Professorship to train for the Anglican Priesthood, studying at Westcott House, He was ordained Deacon in 1981 and served as Curate in Cambridge (St Andrew's Chesterton 1981-82) and Bristol (St Michael and All Angels, Bedminster 1982-84) and was Vicar of Blean (near Canterbury) from 1984-86. He was appointed an Honorary Professor of Physics at the University of Kent in 1984. 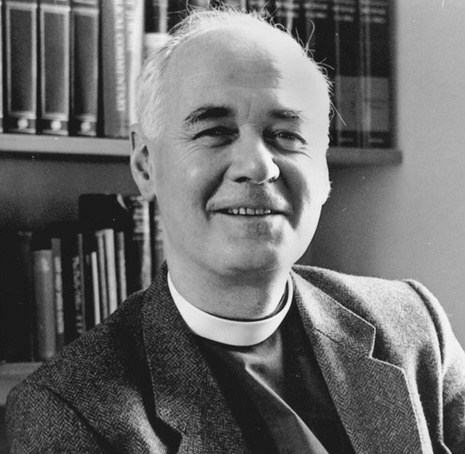 In 1986 he was appointed Fellow, Dean and Chaplain Trinity Hall, Cambridge, and in 1989 ("you could have knocked me over with a feather" was his comment) he was appointed President of Queens' College, from which he retired in 1996. He was appointed KBE (Knight Commander of the order of the British Empire) in 1997. During the same period he has published a series of books exploring and developing aspects of the compatibility of religion and science. These began with The Way the World Is ("What I would like to have said to my scientific colleagues who couldn't understand why I was being ordained"), and continued in a trilogy published by the SPCK: One World, Science and Creation, and Science and Providence. He has continued to produce a superb series of books (See a full list of titles by John Polkinghorne). He was awarded the Templeton Prize for Science and Religion in 2002 and also in that year became the Founding President of the International Society for Science and Religion. He was awarded a von Humboldt Foundation Award in 199? He was Chairman of the Commitee on the use of Foetal Material (1988-89), the Nuclear Physics Board (1978-79) of the Task Force to Review Services for Drug Misusers (1994-96) and of the Governors of the Perse School, Cambridge (1972-81). John Polkinghorne is a respected scientist who is not afraid to ask difficult questions about God's action in His creation. How can God act in a world governed by scientific law? Are miracles possible? What kinds of petitionary prayer can God reasonably be expected to answer? These are the unacknowledged doubts which lurk in the minds of many believing Christians. These are the kinds of questions clergy need to be able to answer with educated assurance. Dr.Polkinghorne believes that the universe is an "open" and "flexible" system, where patterns can be seen to exist, but where "the providential aspect cannot be ruled out." But, in fact, his own faith has little to do with physics. It stems, instead, from a more personal "encounter with Christ." When asked if his exacting scientific background makes him scornful of the vagaries of theology, he responds: "Far from it. Theology is much more difficult. Physics, at least at the undergraduate level, is a subject on which the dust has settled. In theology the dust never settles." John Polkinghorne was one of the founders of the Society of Ordained Scientists, a dispersed preaching Order of the Anglican Communion. The major mover in the foundation of the Society was Arthur Peacocke from Oxford. For those acquainted with the history of Anglicanism, the differences between John and Arthur are illustrative of the roles Cambridge and Oxford have played over the centuries. John compares their approaches in his book Scientists as Theologians.